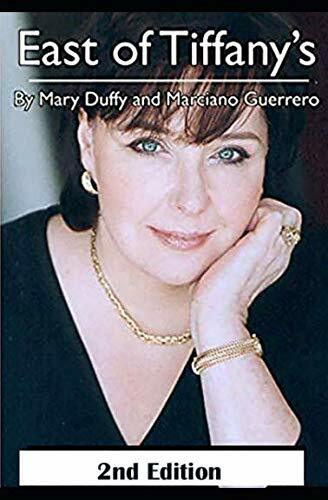 about this book: All the stories you find in this collection are autobiographical, based on true events that happened either to Mary Patricia or me. The names of the characters are all fictitious. We hope that by writing about successful characters we can inspire readers to find a path to both spiritual and material success—just as we did. The author, Marciano Guerrero, is an immigrant from the Andes, Peru, who worked his way to 3 degrees from Columbia University, became an Investment Banker, and served in the Vietnam War. More than 175 positive reviews cannot be wrong. Reviewer acclaim not only the themes and interesting characters presented, but also the writing techniques that the authors employ. This collection of short stories provides a rare insight into the lives of successful characters that populate the Upper East Side of Manhattan. East of Tiffany's features riveting stories about actors, bankers, warriors, cops, industrialists, executives, and —and why not?— their beloved pets. In all cases, the characters are successful in their fields of endeavor and may serve as role models for generations to come.